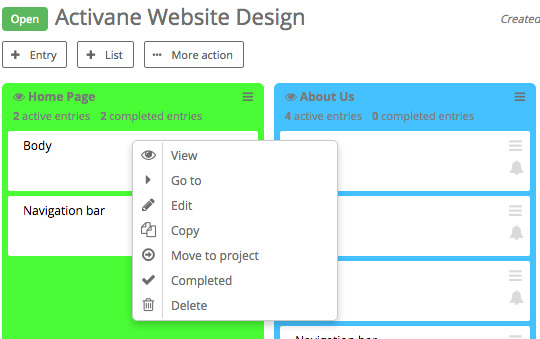 You can easily copy items in the project management add-on section. This is a handy feature if you regularly have similar projects. 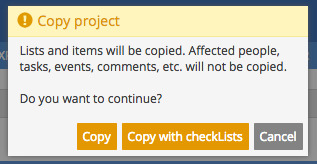 The copy will recreate all components of projects (lists, entries, checklists, etc. ), excluding content items (comments, attachments, etc.). Note: The project structure is copied, not the content. This applies to copies of list entries.